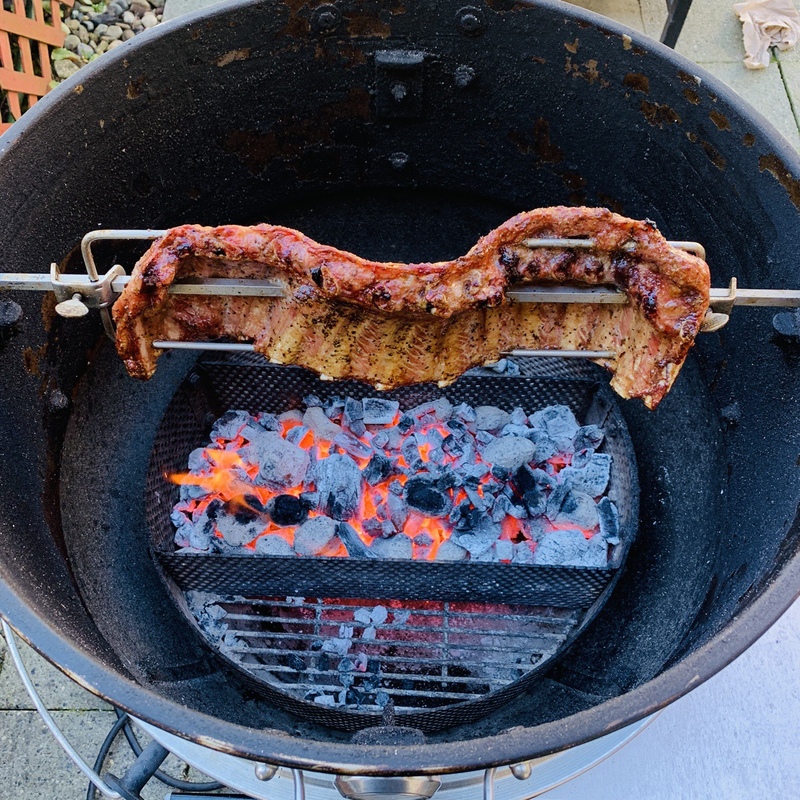 This is one of my favorite way of cooking ribs. 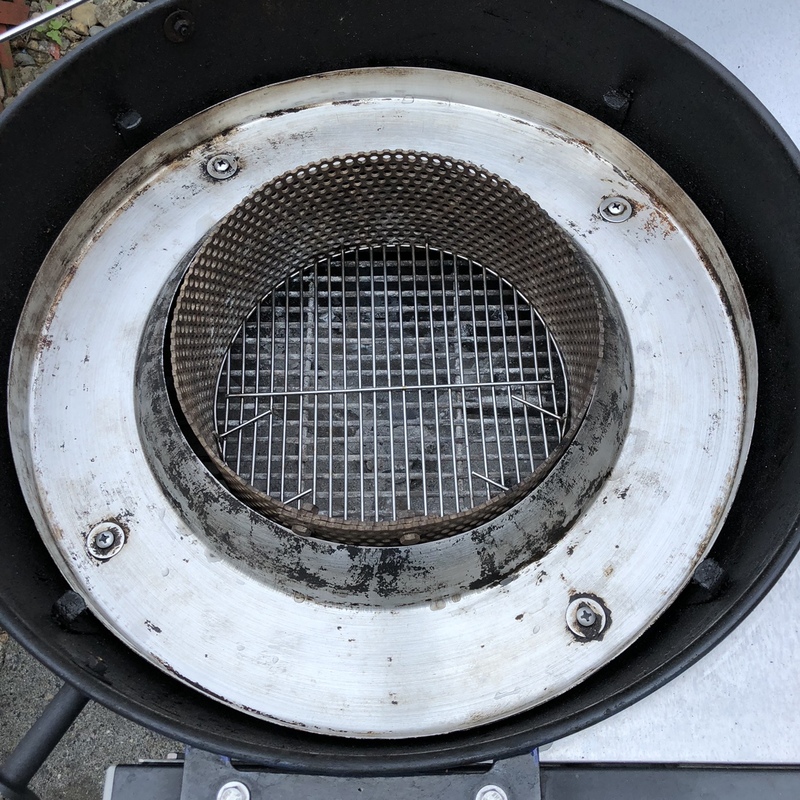 Direct over coals at 500-550F. The most basic rub consisting of just salt & pepper. Start to finish in 30 minutes flat. This method is better suited for taller roti rings. Now I want ribs for breakfast! 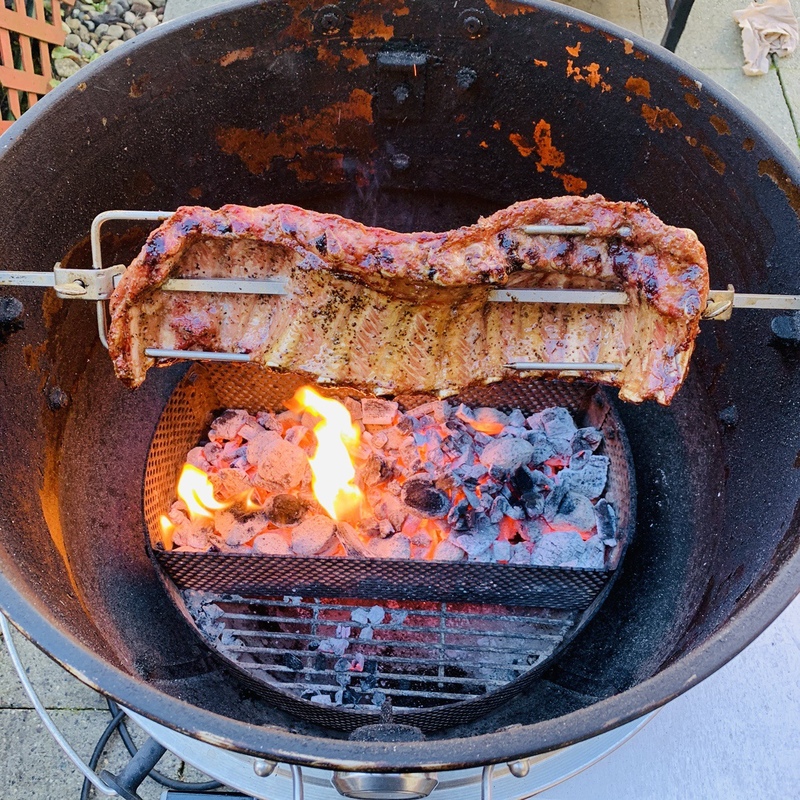 Takes just as long to get the coals to temperature than the actual cook itself. And they look delicious. Gotta try that one. Thanks. Very tender meat with a crusty exterior. The high temperature seals the moisture inside. 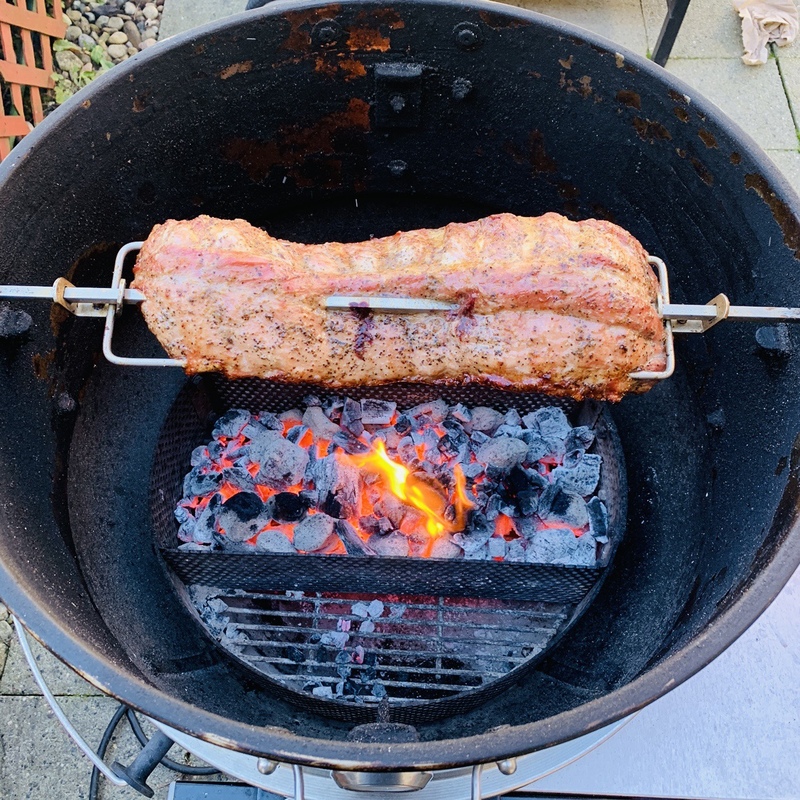 500-600F works well for ribs. Best if eaten right away while still warm since reheating it is like reheating fried chicken. Still edible and tasty but not necessarily a pleasant experience. It can be reheated wrapped in foil etc but you'll lose the outside crusty texture. Reheating it unwrapped and the meat will dry up. I prefer a much taller roti ring for these purposes since the flame/flare ups will not reach the food. On a shorter roti ring such as a weber, arrange the charcoal in this manner. 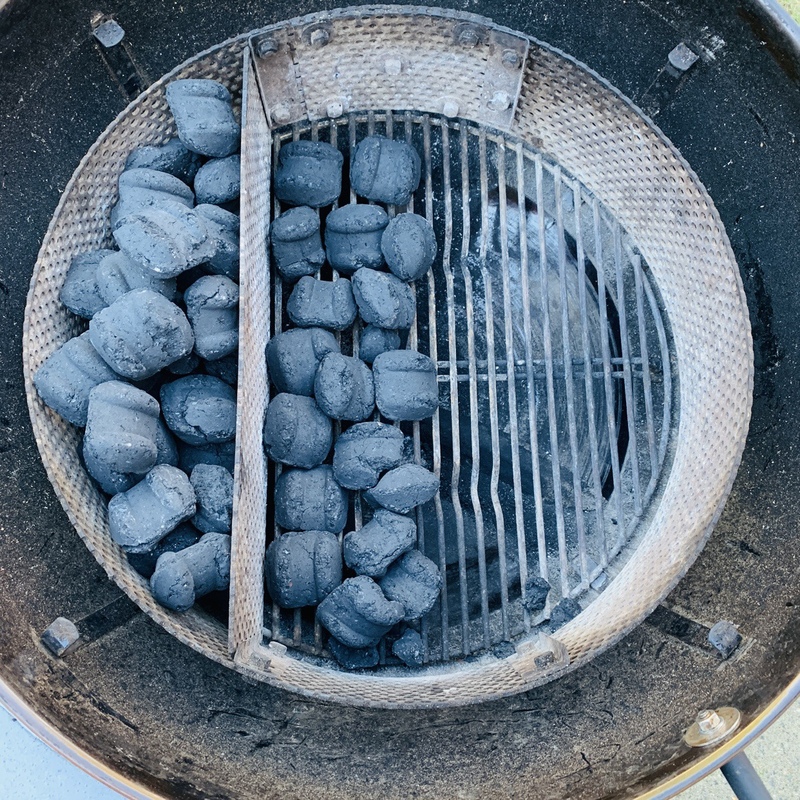 A layer or 2 of lit coals under the spit and the rest in a basket(s) to the side. Looks great. I’ve tried this two times and over cooked them both times. It just simply cooks them much faster than I anticipate. I will start checking them much sooner on my next attempt. You can't stack 2 weber roti rings because of the lip design. 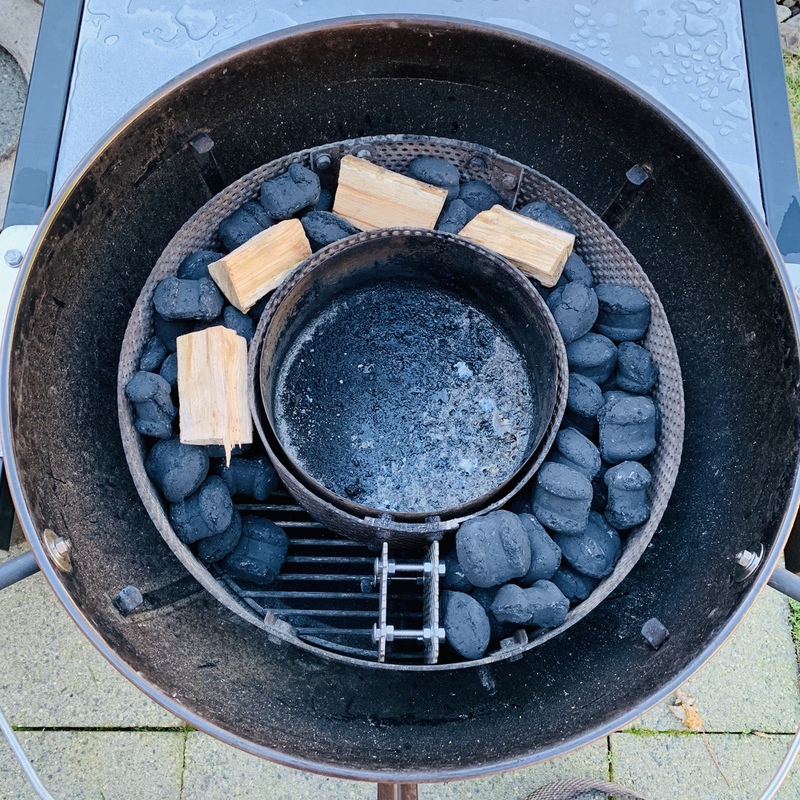 Just follow the charcoal arrangement on the photo on my previous reply to CatskillSmoker. Dammit Jules. You really need to open up a Weber accessory store front and start selling stuff. I LOVE that basket. I'm not a salesman so selling it is not really an option. That's my multi-purpose charcoal basket.